Hi, I tried to make a piecewise homogeneous transport (v is varying with different regions) model by setting a couple of 'fixed state' cells with a constant pressure to get the desired pressure gradient along the region. 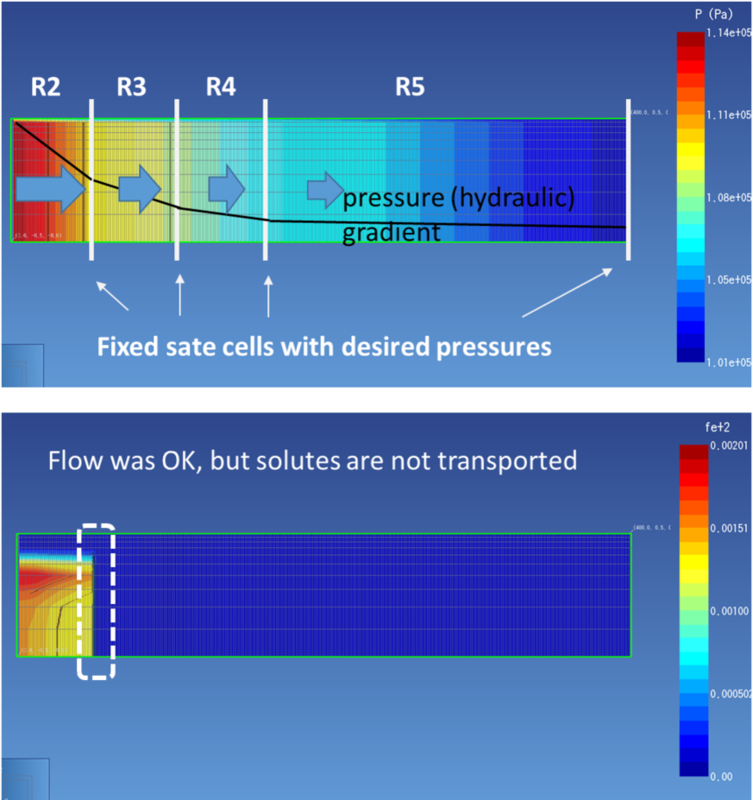 By doing this, I could successfully generate the desired flow, but solutes were not transported because of the fixed state cells which tend to remain constant as well. Is there a way to make the solute also being transported with the flow? I don't know about fixed state cells, but I imagine that the first one acts as some sort of sink for the solutes. You could try setting up an inhomogeneous model with varying K for each of your 'zones' R2-R5 in order to achieve the desired pressure gradients.